Had a great weekend over in Honolulu for the 2nd annual Greenroom Festival Hawai'i! 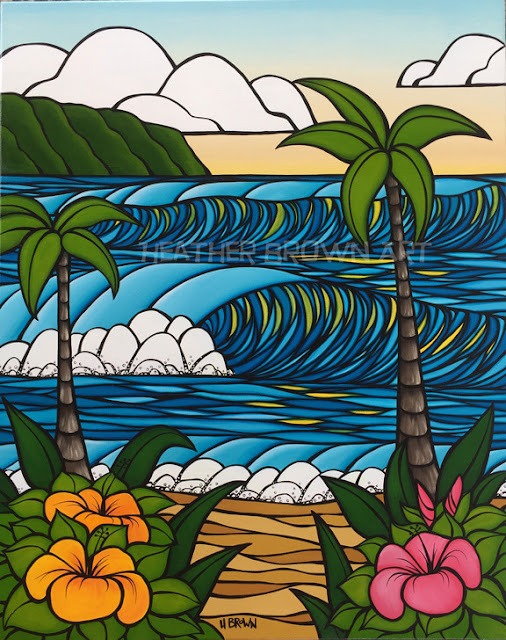 Stoked that we got a chance to show art and stay at the new SurfJack Hotel in Waikiki too!! Here are some of the originals that I displayed for this weekends shows. 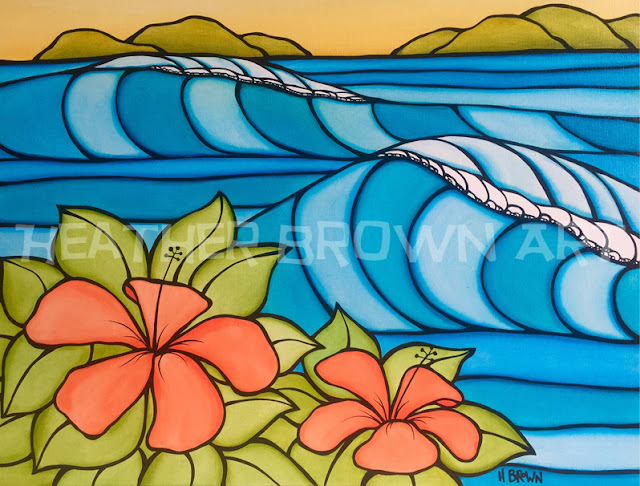 If you are interested din available originals, please contact the Greenroom Gallery in Waikiki directly for these. 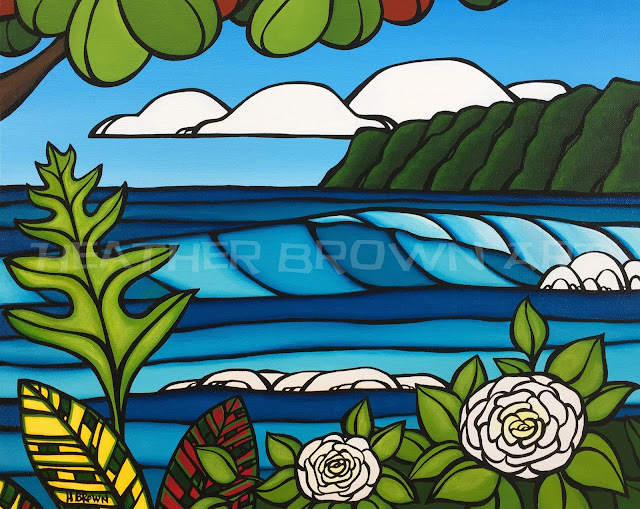 Here is a new original that I created for the Greenroom Festival Hawaii 2016 happening next Saturday September 10 at The Waikiki Shell. ALSO!! On Friday, September 9 please join us for the Greenroom Festival Launch Party at the The Surfjack. Its going to be a fun weekend to kick off the fall season here in the Islands! Please share with your friends and family! ALOHA! Today is the last day of my Japan Spring Tour! I will be at the Greenroom Festival today at The Heather Brown Gallery booth container outside the main gates! 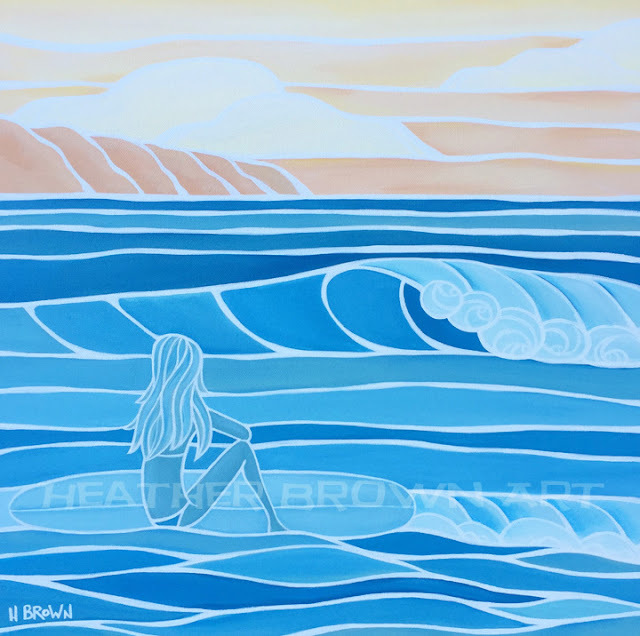 FREE to come see all the surf art and vendors! Hope to see you there! Are you in the Tokyo/Yokohama area this weekend? If so, you should really come over to the GREENROOM FESTIVAL at 横浜赤レンガ倉庫（Yokohama Red Brick Warehouse） ! You can see all the vendors and amazing artists FREE! 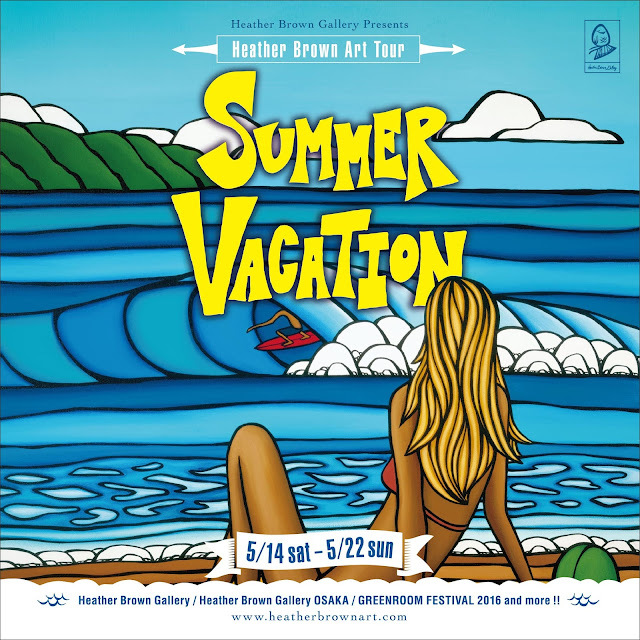 Please come by the Heather Brown Gallery ヘザーブラウンギャラリー container set up and say ALOHA! I will be there Saturday and Sunday for the last 2 days of my Japan Spring Tour! So stoked for another GREENROOM FESTIVAL this year! 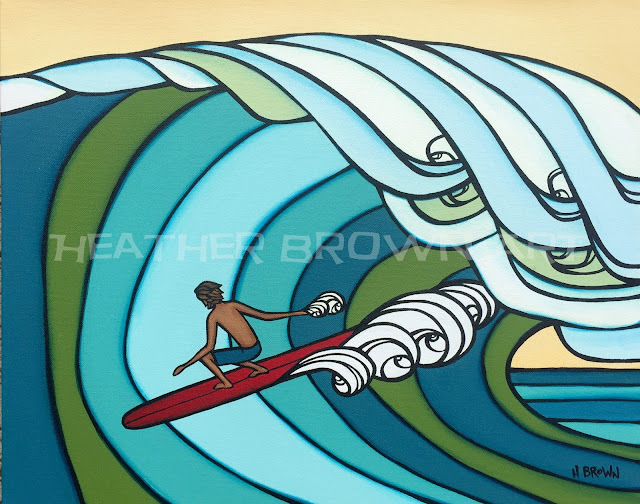 I have been doing the famous surf art and music festival since 2008 and every year it is one of the most fun stops on my schedule! Aloha! Busy packing art up for my Japan Spring Tour! I have attached a schedule in Japanese below that can also be translated for my upcoming weeks in Japan. Hope you can make it to one of my shows! 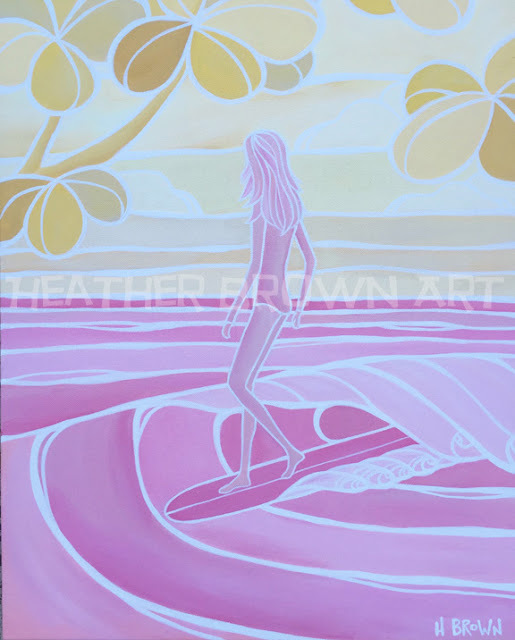 Lots of new originals and published pieces and more!! 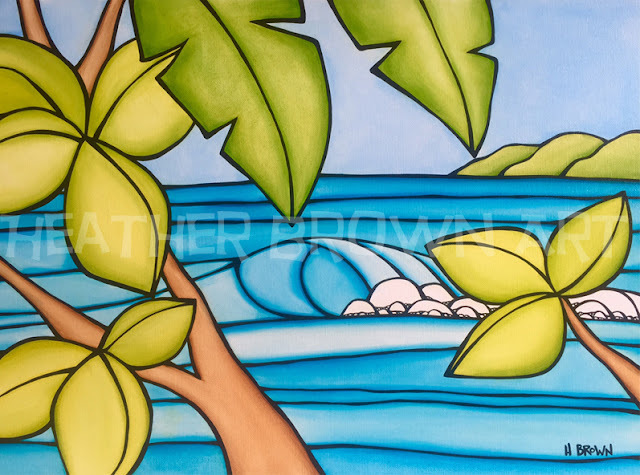 Here is one of the new originals that will be at my shows! ALOHA! I am excited to announce the details of my 2016 Japan Spring Tour!! Excited to be a part of the first ever Greenroom Festival in Hawai'i! I have participated int he Greenroom Festival in Yokohama Japan for the past 8 years, so it's nice to have one at home! Here is one of the originals I will have for todays show!